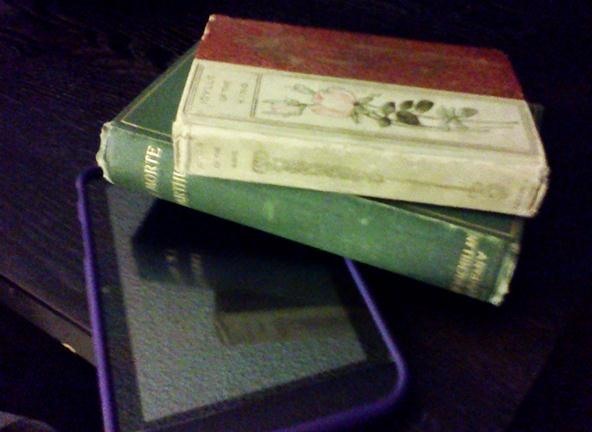 When I see Kindles and e-readers, I can't help but get a little sad over all the things those e-books are missing. The weight of literature in your hands. The feeling of turning pages one by one. The texture of the cover. The wonderful smell of an old book that's been sitting on a shelf for years, waiting for me to choose it. Photo taken with an LG Octane phone camera. News: Sony Guts an EX-3, Adds Another = 3D? I have the exact same sentiments. Even after I got a Kindle, I was going over to the used bookstore and buying paper books. It's sad to think paper books/magazines/newspapers will soon be irrelevant, though on the bright side, it will be more environmentally friendly!